Samantha was adopted from Korea in 1987. In 2013, she received an unexpected letter over the Internet from a girl named Anaïs, who believes that they might be sisters. Samantha and Anaïs develop a friendship over the internet, and eventually, Samantha travels from the US to Europe to meet with Anaïs. There, they receive the results of a DNA test: they are not only sisters – they are identical twins. Together, Anaïs and Samantha travel to Korea and connect with others who were adopted from Korea. They are not able to find their birthmother, but they are able to find a sense of community in each other, in their earliest foster parents, and in the Korean adoptee community. This is an adoption story, all the way. Anaïs and Samantha are sisters who were adopted as infants, and who reunify as young adults. It’s a positive, worthwhile film. Samantha shares the news of her newfound twin with her relative, who exclaims, “I’m so happy for both of you, and for me too. 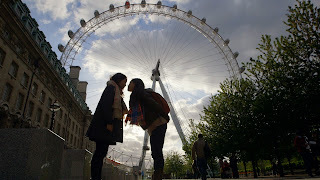 Anaïs’ and Samantha’s parents both travel to London and all of them are able to meet together. It’s hard for Anaïs and Samantha to go back to their everyday lives, continents apart, but they maintain a friendship with each other. Each travels to see the other. Samantha and Anaïs are able to meet their former foster mothers, and it’s very nice to see that their foster mothers remember them and show care and love towards them. 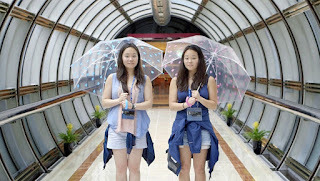 At the Korean adoptee convention, a special video message reaches out to the adoptees, “I humbly ask you to love your mother country.” Anaïs and Samantha feel encouraged that their mother country cares about them. For Anaïs, connecting with her former foster mother is a sign of proof that she was loved and cared for, even before she was adopted into her loving family. Previously, she had thought of her life before adoption as a void. She used to say that her life started at the airport, but now she is able to see the value and the love that existed even before she came to her parents. She can move towards having a fully integrated understanding of her life story, rather than having two separate life stories. She explains, she thought that her parents stopped loving her, but now she realizes that people loved her from the very beginning. Anaïs and Samantha have added to each other’s families, but have not replaced each other’s families. One says “Family is what you make of it; there’s no definition,” and then lists their family: adoptive family, foster families, each other, their birth mother, their sister’s parents. One says it’s like having “five different types of mom, and it’s OK.” For Anaïs, who felt lonely as an only child, having such a large sense of family is a very positive experience. Together, Anaïs and Samantha write a letter to their birthmother expressing that they are happy to have each other, and expressing that they love her. 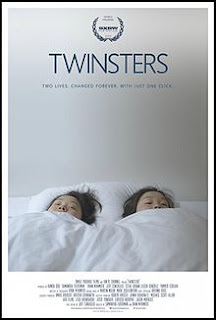 Twinsters gets Adoption at the Movies’ very strong recommendation. This one should be good for adoptive parents, people considering adoption, and adoptees ages 11 and up or so. If you watch it with your children, be prepared to talk with them about their feelings regarding openness and their feelings of grief regarding relatives with whom they’ve lost contact. This one is wroth seeing. Why do you think Anaïs and Samantha were separated? What would it mean to discover an unknown twin? How can Anaïs and Samantha maintain their relationship even though they’re separated by an ocean? How did their families react to them finding each other? How can their families support their relationship? How can adoptee conventions, like the one Samantha and Anaïs attended, be helpful to adoptees? What are the nearest ones to your home? What feelings do Anaïs and Samantha have towards their birthmother? What feelings do you believe your children have towards their birthparents? Do your children have siblings that they don’t live with? Can those relationships be pursued? How can you help your children find the honorable, good, and healing aspects of their pre-adoption history?